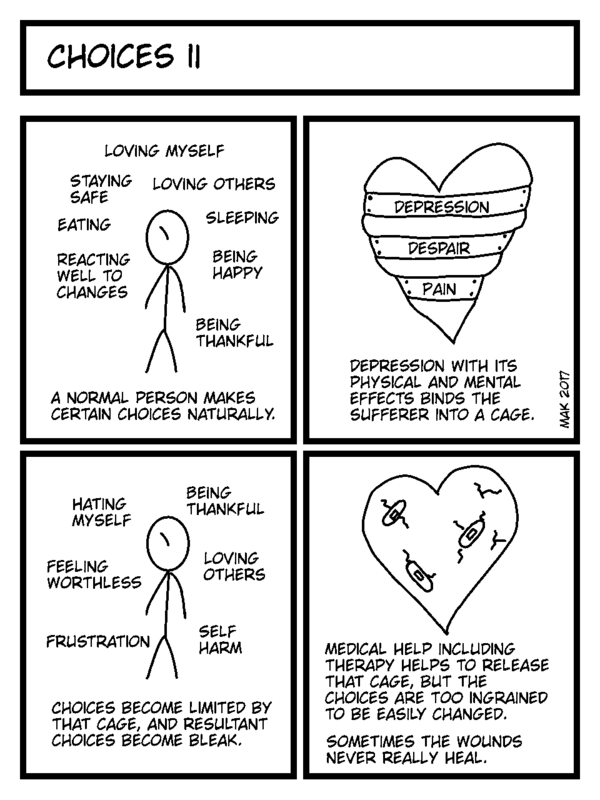 It really is that difficult to choose when in the midst of depression. I’ve found myself stuck because I know what I should choose but I’m simply not able to choose it. And the pain of choice is real.